Looking for a simple yet super cute gift for Father’s Day? I created a quick printable that allows your child to tell their father how they feel about him. want to know that their work and contribution matters. 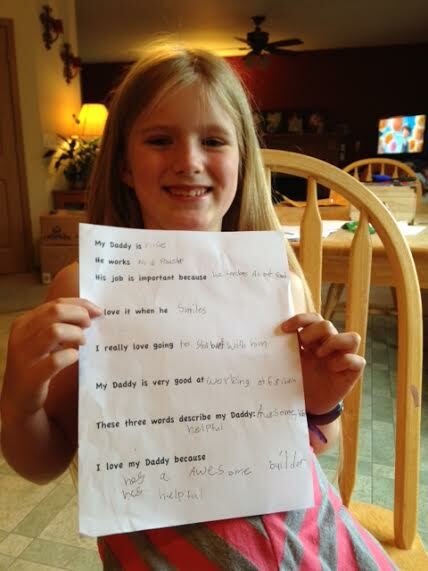 This easy worksheet communicates love and respect to dads – and is easy to pull off! Allow older children to fill in the blanks, and take dictation from younger children who don’t yet know how to write. These will become cherished keepsakes and are sure to make the dad (or grandpa, uncle,etc.) feel extra-special!